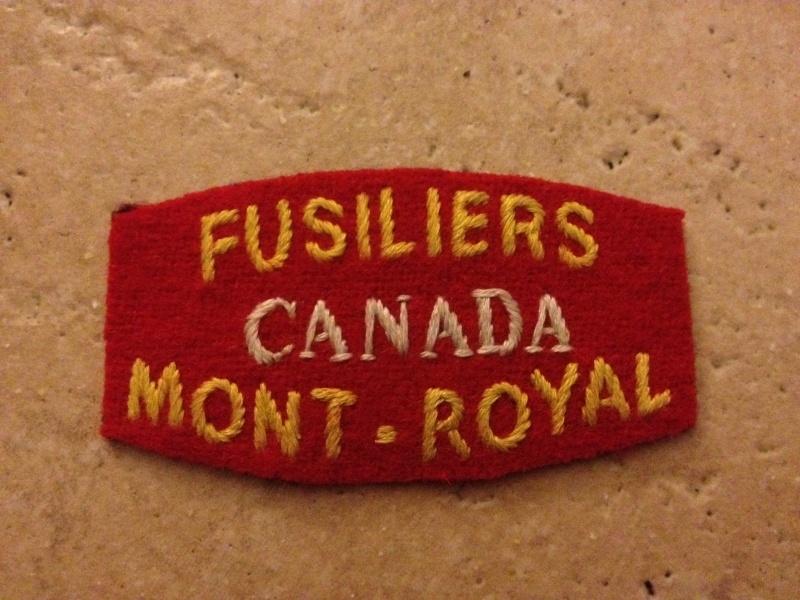 I purchased this embroidered shoulder title from the fusiliers Mont-Royal. 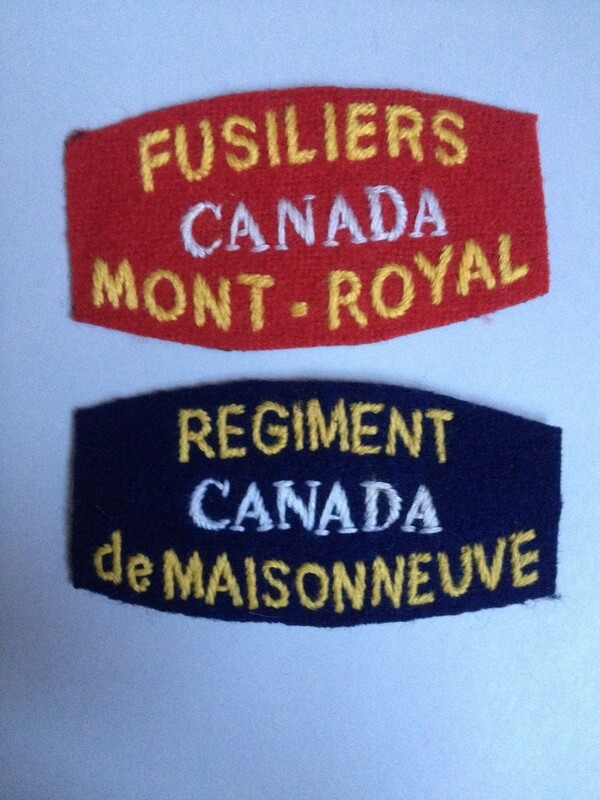 I think it is ww2 vintage and maybe a british production (oblique pattern to the stitching)? Yes, the title you have posted is consistent with British WWII era examples. Sorry to say but, this looks to be a repro to me. Can you show a picture of the back? Don't like it at all. The block serifs are typical of reproduction titles. 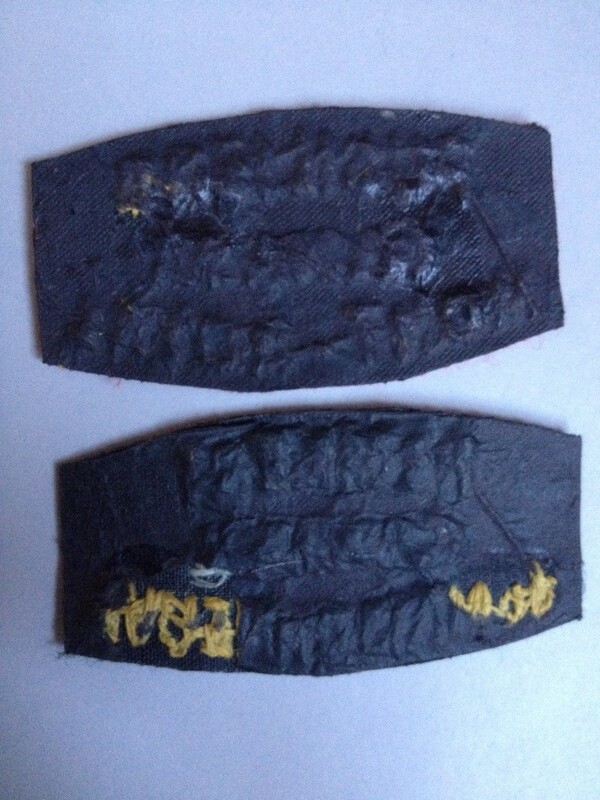 An image of the reverse would be most helpful. I think both are repros. Both repros, I think 6th of June types. Thank you for your reply. You are right, repro, they are made of synthetic fiber. Blacklight test? Be careful. Modern laundering will leave a glow. If you used a burn test on the titles, please be careful of those results. The burn test is not conclusive. In the case of these titles, visible elements, the embroidery, font, and backing are all giveaways.